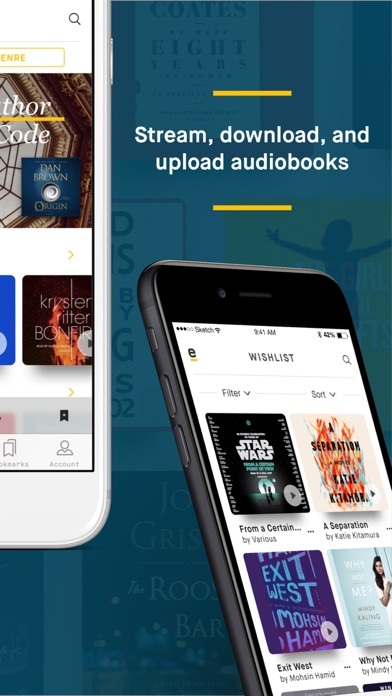 Audiobook listeners save on the best in audio books with eStories. Choose from over 110,000 fiction and non-fiction audiobooks or listen to over 9,500 free audiobooks, with plans starting at 20% less than leading competitors. 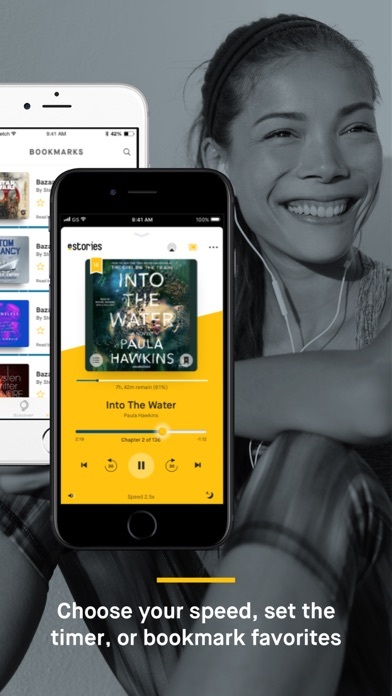 Plus, unlike other audible book services, most eStories audio books are DRM-free, so the books you download are yours to keep, and can be played on any MP3 player. 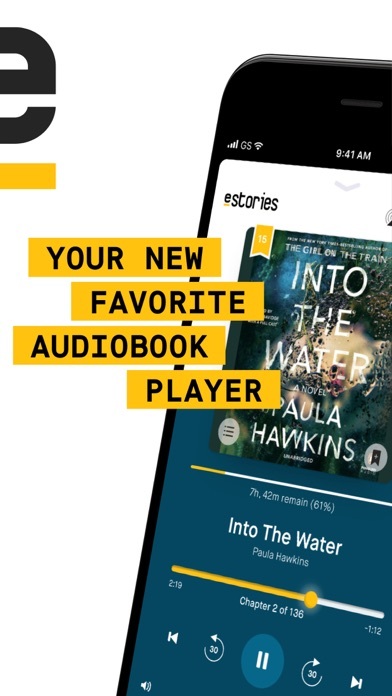 eStories is also the only audiobook service that gives you the option to listen any way you want – stream, download or upload to play books using the feature-rich mobile app or web player. 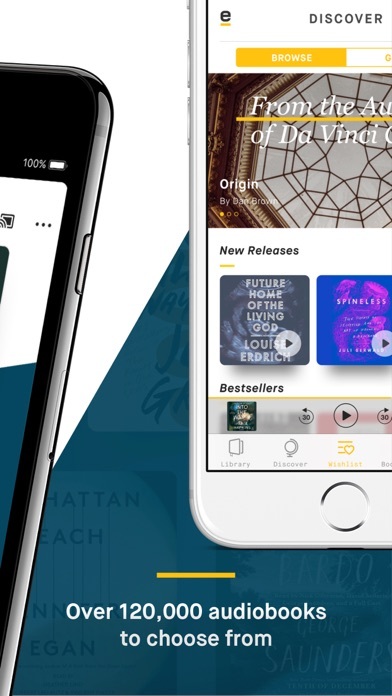 eStories has all the fiction and non-fiction bestsellers in every genre, lots of new releases added every week, and personalized recommendations to help you select your next favorite audio book. Experience your stories like never before, with rich author bios, ratings and reviews, and bookmarks that hold notes and inspired ideas. eStories also syncs your books on up to 10 devices – making it easy to pause and pick up anytime, anywhere, on any device. Every book you download is yours to keep. 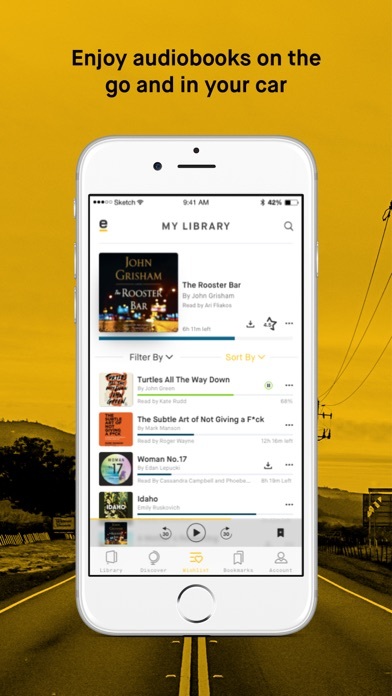 You can even upload your current audiobook collection to your eStories cloud library and listen to them all using the eStories app. • Your first audio book is free with trial! Note that some features require online registration. Reach support via email at support@estories.com, or using Twitter @eStoriesHelps.